There are some good ideas in this new Need For Speed entry but it's all buried beneath poor design, pacing, and technical hiccups. Racing simulators are thriving within the genre these days, but arcade racers offer a brief respite from the tighter sim experiences and will always have a home with casual gamers. 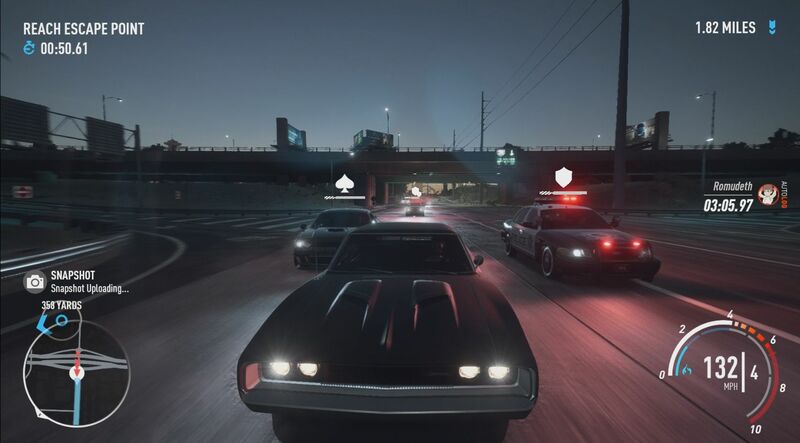 Need For Speed is a long-running series that has taken on many forms throughout its history, with its latest entry adopting the high-octane drama you’d find in summer blockbusters. Does Need For Speed: Payback get the checkered flag? Nope. It sure does have some fun ideas, though. Need For Speed: Payback starts off with quite a bang. The prologue mission introduces you to all the main players in this high-speed drama, including the three (plus the unplayable mechanic) that make up the crew that you’ll control throughout the single-player campaign. Almost immediately there’s chaos, cops, and betrayal. Unfortunately, almost immediately after that, the prologue’s pace nosedives. Instead of giving players adequate time to get familiar with the cast, the writers crammed a rise, fall, attempt to rise again, and fall again series of events into the first 45 minutes before getting into the meat of what is a 10+ hours experience if you don’t dabble in side quests too much. You probably won’t, but more on that later. You’re here for the racing, yea? It’s a mixed bag here. The sense of speed is thick and the highest-tier vehicles will test your skills in the best ways. Don’t crash though! Or do. The collisions in the game are all over the place. Sometimes you’ll slam into a car head-on going 150 with no problem while in other moments you’ll be reset because you clipped the side of a house going 80. Each of your crew specializes in different styles of racing. Ty sticks to street circuits and drag races while Mac is your off-road and drift specialist. Jessica’s events are the most unique, often putting her in the sights of the police as she chauffeurs shady individuals and picks up sketchy packages. 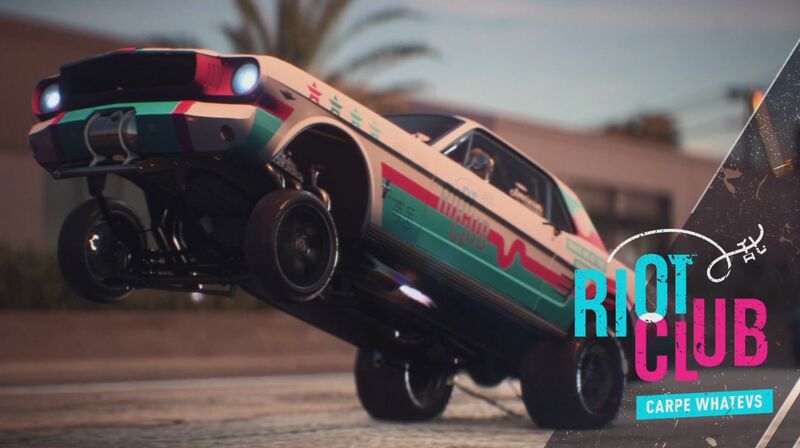 The individual styles of each crew member collide in Payback’s main missions, where the game is seen at its best. The story missions, designated with an orange exclamation mark on the map, are linear experiences typically riddled with some awesome scripted moments. Each step in the main missions will have you experiencing the intensity witnessed in the prologue’s open, riddled with big jumps, explosions, crashes, and the occasional cutscene as you switch between the crew members. You’ll typically end up having to dodge and destroy cop cars or enforcers employed by the House, an organization you find yourself at odds with at the onset of the game’s campaign. These pursuits, as a result of confusing design choice, are limited to scripted and linear events at the end of races. The open-world is barricaded in a way that forces you along a path and, at the end of the pursuit, all enemy cars will just give up as you head toward the final checkpoint. The unfortunate thing about the in-between time as you work to unlock the next main mission is the uninteresting open world. The user interface here is strangely minimal, forcing players to look down at the minimap to navigate a route instead of some on-screen prompt to get you where you want to go. There are icons beaming into the sky for different races, but getting to them will require the minimap. There are some items to collect in the open world, including the rare derelict cars, but lacking an easier means of navigation and very light collection of activities to entertain me as I cross the gigantic map pushed me to use fast travel as much as possible. Moving in this way essentially eliminated opportunities to race against roaming AI racers. There are also microtransactions that come in the form of speed points. 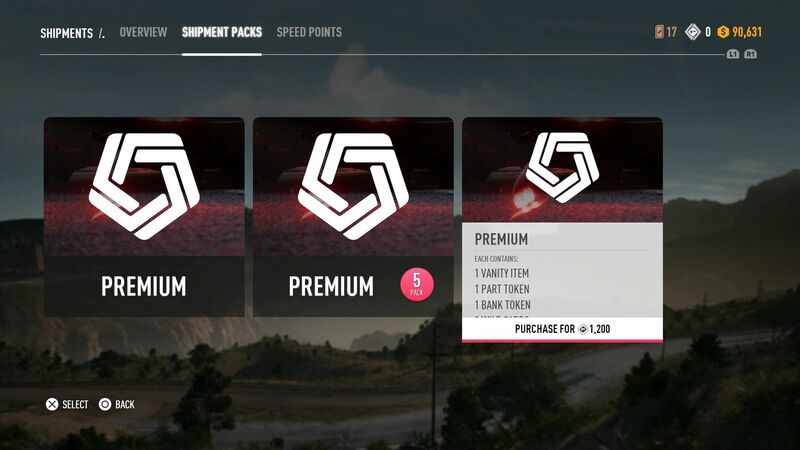 If you purchase speed points with real money (starting at $2.49), you use them to get Shipments, which are Payback's version of loot creates. They're filled with cosmetic parts, upgrades, tokens, and cash to help your progress in single-player. Once you reach the races, there’s fun to be had and you'll want to do them to upgrade and/or purchase new cars but technical hiccups sully this experience as well. I experienced a consistent glitch in drag races that removed the visual prompt for revving up your engine for a perfect start. I also had to restart multiple races because I’d begin and the checkpoints wouldn’t load as the game just occasionally didn’t recognize that a race was happening. Online multiplayer is a pretty terrible experience for the time being. Essentially, every match is a race to see who can grief the quickest and separate from the pack. Until there are penalties for this, you better get with the program and ram your way to victory. Technical issues persist there as well, with textures loading throughout matches, not being automatically kicked out to the menus at the end of an event, and more. 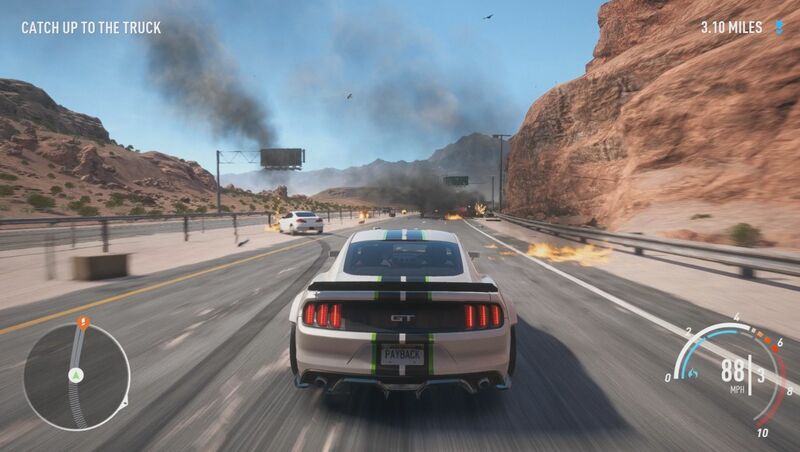 In an effort to adopt the stylings of other popular, open-world racers, Need For Speed: Payback presents some fun ideas with poor execution. 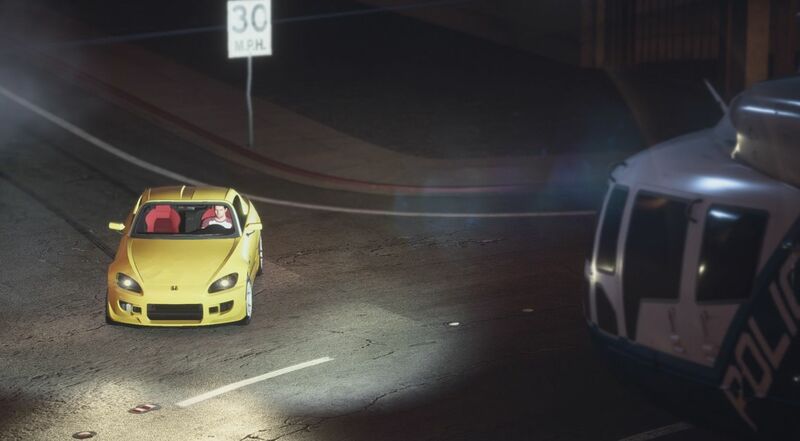 It also misses an opportunity to elevate an NFS staple with a tacked-on, linear version of Pursuit that annoys while simultaneously reminding me of the absence of a Burnout game on the market. Payback could have solidified the NFS franchise’s spot in the market with the new heist missions and stood out from open-world racers with cop pursuit but, instead, gave us bright moments set in a bland world with technical shortcomings. This review is based on a PS4 code provided by the publisher and the game was played on PS4 Pro. Need For Speed: Payback is also available on Xbox One and PC. The game is rated E.
That gambling feature sounds really fun, like challenges in a race where you have to drive a certain way (come back from behind, for example). Shame about the rest of the game. Charles will be streaming this game on Twitch soon!